OKLAHOMA CITY – An Oklahoma lawmaker demanded Thursday that state medical board executive director Lyle Kelsey resign his position immediately amid allegations that he and his staff conspired to ruin the medical practice of a successful Tulsa spine surgeon.Witnesses at a legislative hearing called by state Rep. Richard Morrissette (D-Oklahoma City) testified that Kelsey, his staff and medical board members actively sought complaints over a five-year period from medical malpractice attorneys in order to build a case against Tulsa surgeon Steven Anagnost. Morrissette and a handful of other lawmakers also heard about damaging conflicts of interest that prevented Anagnost from receiving constitutionally-protected due process hearings at the medical board. Although the agency spent more than $700,000 on the case, Anagnost retained his medical license and was never disciplined by the board. 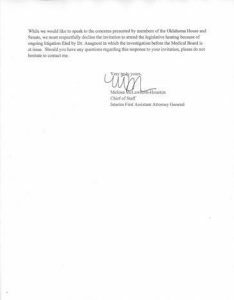 In addition, medical board internal emails and memos obtained by Red Dirt Reportshow the agency tried to encourage credentialing committees at Tulsa hospitals to rescind Anagnost’s surgical privileges without proving he had done anything wrong. 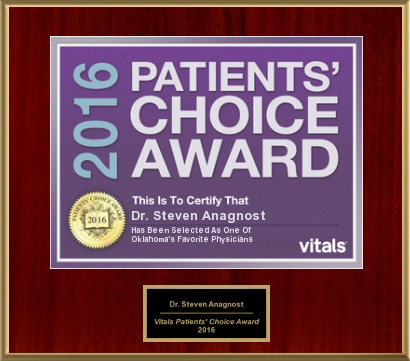 Other emails show medical board advisor Eric Frische and the agency’s investigative team described Anagnost as a “charlatan” and “sophisticated crook” based on his expertise and success with Minimally Invasion Spine Surgery (MISS). Kelsey did not return a phone call for comment Thursday. At the time this story was posted, Gov. Mary Fallin’s spokesman, Alex Weintz, had not returned a phone call for comment. Anagnost, who did not attend Thursday’s legislative hearing, believes Morrissette should have gone a step further. Anagnost, a pioneer in Minimally Invasive Spine Surgery (MISS) in Oklahoma, declined an offer in 2005 to join surgeons at Oklahoma Spine and Brain Institute and their privately-owned Tulsa Spine & Specialty Hospital. Soon after, the lawsuits and complaints were filed. The documented attacks by the medical board against Anagnost cost the surgeon millions of dollars in legal fees and all but ruined his surgical practice. The board’s case against Anagnost was dropped after the surgeon filed a lawsuit in July 2013. A settlement was reached two months later. Since then, a second lawsuit has been filed against the board alleging it used deception in reaching the settlement. That case is pending in Oklahoma County District Court. 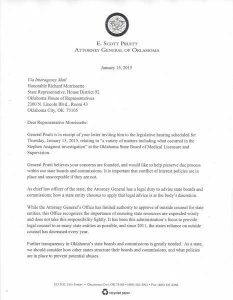 Anagnost is hopeful the legislative hearing will help uncover the conspiracy carried out by the “unholy Trinity,” which the surgeon said consists of the medical board, medical malpractice attorneys and his competing surgeons in Tulsa. Morrissette said at the hearing that he invited Kelsey, Attorney General Scott Pruitt and Oklahoma County District Attorney David Prater to attend, but none of them were present. Barry Smith, an attorney with McAfee-Taft law firm, testified before the legislators that he represented Anagnost in the July 2013 lawsuit. He told the lawmakers of several conflicts of interest, including that of medical board member and medical malpractice attorney Gary Brooks. During his tenure on the board, Brooks sued Anagnost twice with both cases settling in 2012. In another instance, medical board prosecutor Randy Sullivan, also a medical malpractice attorney sued Anagnost in two other cases, both of which were settled in 2012. “This litigation (against the board) was some of the most unusual I’ve been involved with,” Smith said. Smith told the lawmakers every state board and commission has the “obligation” to provide due process, notice and impartiality to those they oversee. “When these failings occur, there must be accountability,” he said. 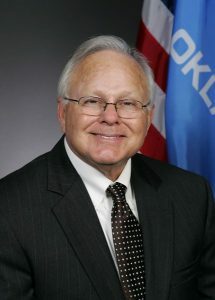 When asked by Morrissette how the conflicts of interest were discovered, Smith acknowledged he was shown several documents that are part of an Oklahoma Bar Association investigation that reportedly is targeting Brooks and Sullivan. Smith also testified that the medical board violated its own set of rules and policies at least 20 times during the Anagnost investigation. State Rep. Bobby Cleveland (R-Slaughterville) agreed with Anagnost and Smith about the need for honesty and openness. “There should be no place in government that doesn’t offer transparency,” he said. Smith testified he found one particular document the most troublesome. On Jan. 25, 2012, board investigator Gayla Janke wrote an email to Kelsey and Frische with a check list of events involving Anagnost. In an email reply, Frische wrote, “so this is another neurosurgeon who will implode? “Hopefully!!!!!!!!!!! I shouldn’t say that,” Janke wrote. The emails and memos obtained by Red Dirt Report were never made public until now, Smith said. “I can see how things like this can be hidden, especially when the processes fail,” he told legislators. 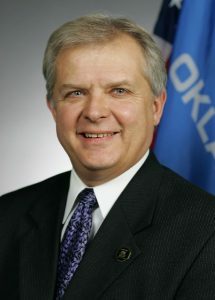 Smith also told the lawmakers he would not advise any of his clients who are physicians to testify before the House panel for fear of retribution from the state medical board.